2 Bdrm Grnd flr Self-contained flat. Hall. Lounge. Kitch. 2 Bdrms. Bathrm (CT band - D). Garden. 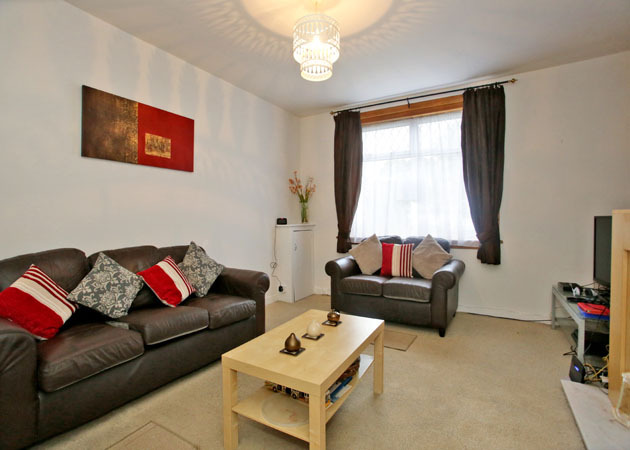 Fixed price £101,000 Entry by arr. Viewing contact solicitors. (EPC band - D). 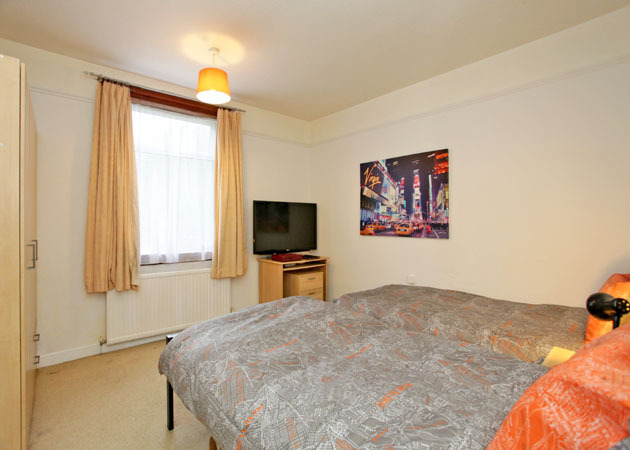 Situated in a popular established residential area, this SELF-CONTAINED LOWER FLAT of a block of four properties represents excellent value for money and also enjoys the benefits of Gas Central Heating and Double Glazing. Some carpets, curtains, blinds and light fitments are to be included in the price. 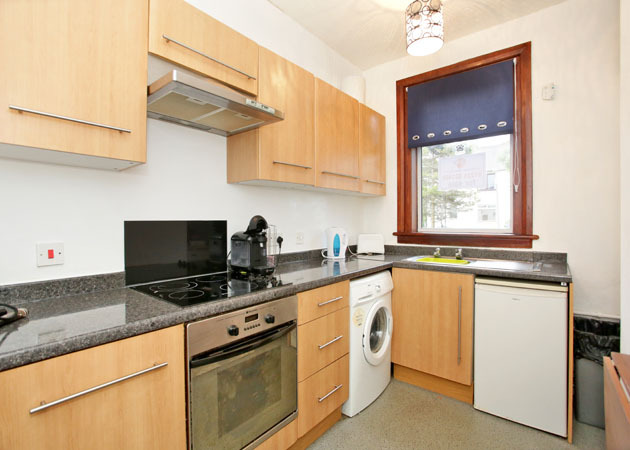 Hilton Terrace is situated in an area well served by local shops and by public transport facilities with the location also being extremely convenient for Aberdeen University and for Foresterhill Hospital. 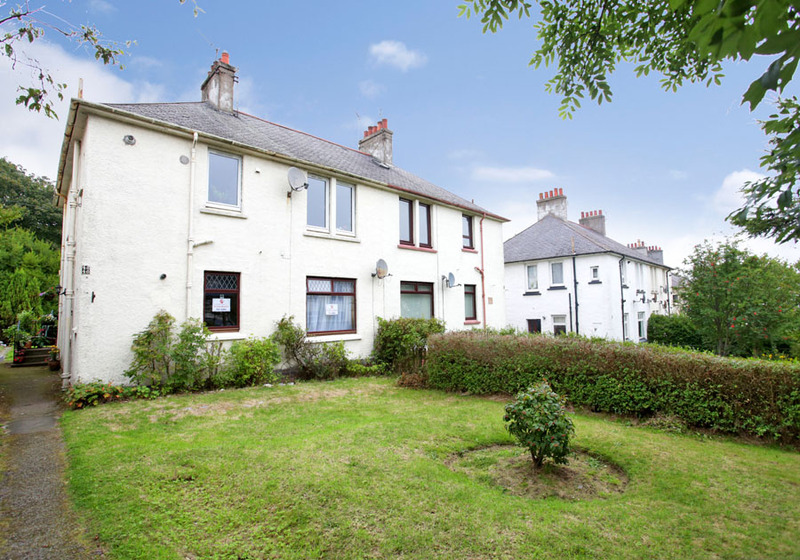 The location also offers relatively easy access to the Airport and the oil related offices at Bridge of Don, Dyce and Kingswells. DIRECTIONS From the West End of Union Street continue straight ahead onto Alford Place and turn right into Rubislaw Place. At the T-junction turn left onto Waverley Place and follow the road round onto Albert Street continuing through the traffic lights at Craigie Loanings and onto Argyll Place. Continue through the next traffic lights onto Westburn Drive and at the roundabout take the third exit onto Hilton Drive, Hilton Terrace is fourth on the right. HALL: Hall with exterior door with glazed panels, coat rack, deep storage cupboard. LOUNGE: 15’ x 12’9” approx. 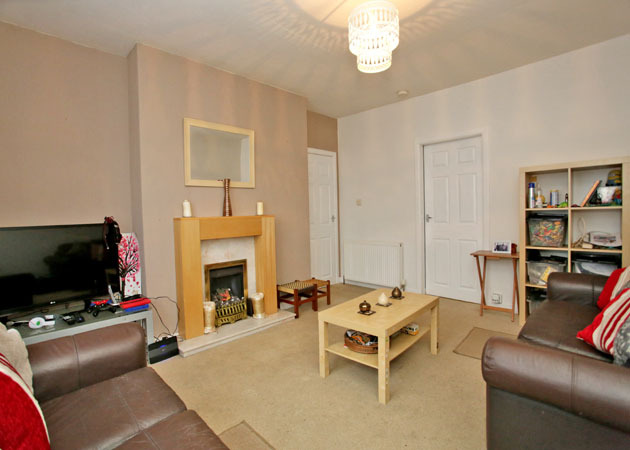 Nicely proportioned bright, airy Lounge with marble fireplace and hearth with wooden surround, TV point, meter cupboard and new floor finishings. KITCHEN: Well equipped Kitchen with base and wall units with Beech doors with stainless steel handles and co-ordinating work surfaces with matching upstands, integrated Four Ring Ceramic Hob with Electric Oven below and Extractor above, wall mounted central heating boiler, stainless steel sink unit with mixer tap, fittings for plumbing in an automatic washing machine, cooker control point, brand new vinyl flooring, folding dining table. NB. The Zanussi Washing Machine and the Proline Fridge are both to be included in the price. BEDROOM: 12’ x 11’8” approx. 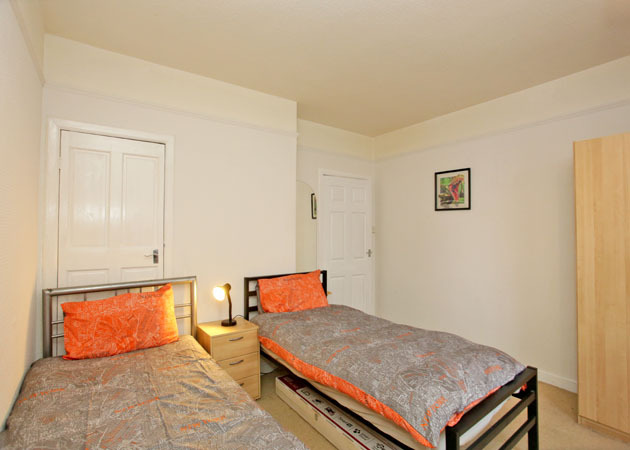 Double Bedroom to rear with storage cupboard, TV point. BEDROOM: 13’ x 8’3” approx. 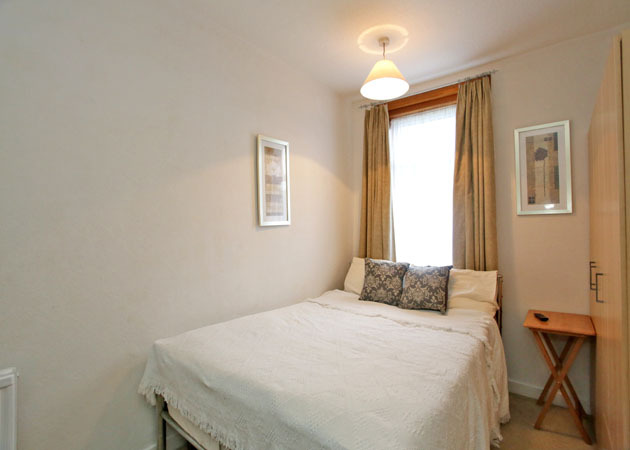 Double Bedroom to rear with curtain pole. 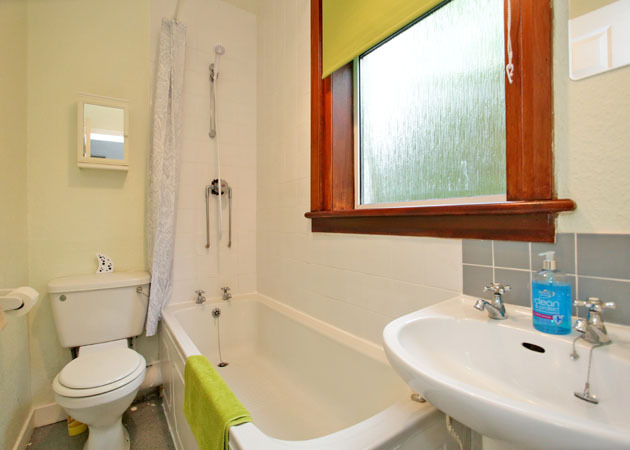 BATHROOM: Bathroom with white suite, tiled splashbacks, fitted thermostatic shower over bath, shower rail, curtain and brand new vinyl flooring. GENERAL: Some carpets and other floor finishes, curtains, blinds and light fitments are to be included. OUTSIDE: Garden to front laid out mainly in lawn with privet hedge. Shared Drying Green to rear.